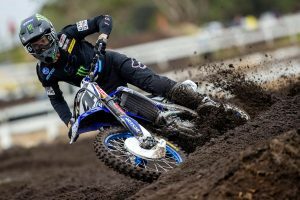 MotoOnline.com.au gave Aussie hero Chad Reed a quick call to speak about his San Diego Supercross success. 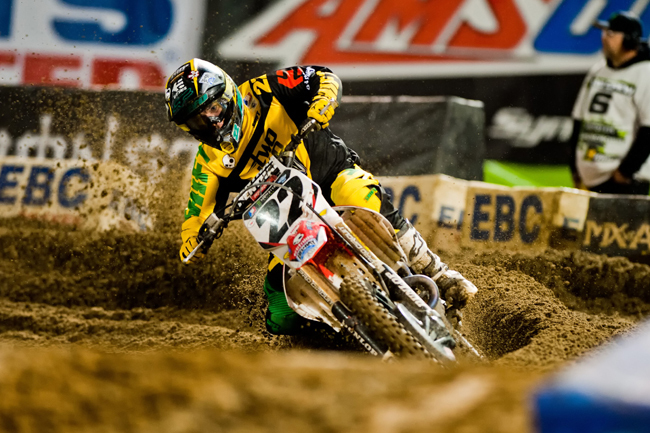 The 9th of November 2010 marked a huge milestone for Australia’s greatest ever dirt bike export Chad Reed when he announced that he would go it alone in 2011, forming TwoTwo Motorsports. Now, just over three months later and seven rounds into this year’s Monster Energy AMA Supercross, an FIM World Championship, Reed has captured TwoTwo’s first victory in an inspirational feat. 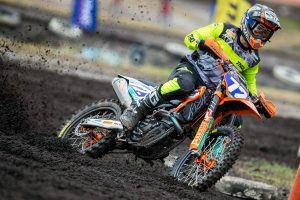 Reed raced to a superb win by almost six seconds at Qualcomm Stadium on Saturday night, marking his sixth win from eight attempts at San Diego and boosting himself back into title contention. 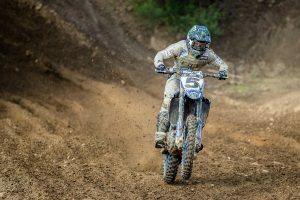 MotoOnline.com.au spoke to Reed this morning – Sunday night in the U.S. – right after he returned to Florida to get the scoop on the latest triumphant chapter in his exceptional career to date. 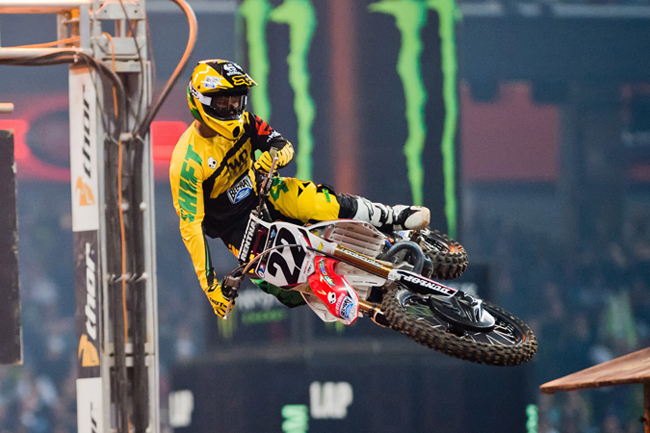 In his first season as team owner/rider for TwoTwo Motorsports, Australia's Chad Reed won round seven at San Diego on Saturday night. Your first win for Team TwoTwo – congratulations! It must be pretty amazing for yourself and the entire team. Yeah, thanks Al. It’s just a different feeling, you know? I mean, I’ve kind of had 24 hours almost to reflect on it a little bit. I think the biggest thing is that I’ve won 39 Supercross races and they’re all awesome, they all feel great. But then at a certain point, the feeling kind of changes and you just expect it – like it’s kind of human nature where the more you get, the more you want kind of thing. After not winning in the past two years – it’s been two years since I won a Supercross race – to win it while not being on a factory team and the fact that my name is on my bike and on my chest is just so awesome, such a great feeling. It’s really a win that I feel is for the team, for all the guys around me. For me it feels like something that should have come sooner, but I just think it’s something that I’m really proud for the guys and it’s cool for them to get a win so they can experience and feel all the joys that come with winning. Your team very much has a family feel to it, and on the podium you could tell it meant so much for you to win as team owner/rider. So, where would you rate this win in your career compared to all those other victories? It’s so hard to put races into individual greatness. I think the first one is always the sweetest and the coolest because it’s the first time you manage to achieve something. I would say that this is the first time I have had this actual feeling in the fact that it didn’t just happen, it’s something that we really had to work for. It’s not like we’ve been knocking at the door and finally won, because I think we’ve been slowly making progress over the weeks, getting better and stronger. Finally last night I got a good start and rode a solid 20 laps, and that’s basically what it took to get it done. I would say that this is a unique feeling, a really cool feeling and I’m super excited. It hasn’t really sunk in because in the moment it was a great feeling, something that makes you reflect on so many different things. You almost become a different person every couple of seconds that you’re thinking about something. One minute you’re thinking about the teams, the factories and everybody that didn’t want to know you, didn’t want to help you, the ones that kind of made it out like you were just done. I had a child, lost a best friend, and suddenly I was washed up. So you kind of have a little bit of bitterness there, but I think you need to take the high road and I respect, even if I don’t love it, that it’s tradition in our sport for you to only ever be as good as your last race. Last year was a tough year, I think there were a lot of things going around and being said about me stepping away from my Monster Kawi deal that weren’t true. I think this for me validates that instead of making two million dollars, spending two million dollars is better for me because I feel like I’ve come full circle. I’ve done what I had to do to be happy, done what I had to do to be healthy, and we’ve won races again. Last year I was on a great team and a great bike, but I wasn’t ever able to win a race. I got hurt and whatever, so it didn’t ever work out. This year I’m on a totally private team with a group of guys that I hand picked, so it’s really just a gratifying feeling. It’s been awesome to watch your progress, that is for sure. Your first win for TwoTwo came at San Diego, which you’ve had so much success at in the past, so what is it about that stadium that makes you do so well there? You’ve had six wins from eight starts! Yea, six wins in eight starts, so I’ve only lost there twice as a full time guy in the 250/450 class. I think that stat alone is awesome. Coming into the event I was tied for most wins at San Diego on five with Jeremy [McGrath], and I really wanted to win there. It’s not like you come in and put extra pressure on yourself, it’s just that there’s a vibe around certain stadiums. I’ve been so successful there, won a lot of races there, races that you can really look back on and take good memories with you. In 2005 I had an amazing race with Ricky [Carmichael]. I got a bad start, came from the back and passed him with about half a lap to go. We lapped third place that night, and it was a similar race in similar conditions to this weekend actually. It seems like San Diego is always kind of like that. Just going there, jumping on the plane to San Diego, I had a great feeling and that’s a nice feeling to have when you can kind of switch your mind off and think of some of the good times, some of the better times, at that stadium. Reed has been gaining momentum as the season progresses, taking two podiums and a win in seven rounds to date. Honestly, you really have to be honest and serious with yourself. It was only a week ago that I was almost 30 points down on James [Stewart] and I’m not going to lie, I was thinking man, it’s getting out there. That point gap he had was more than a race win, more than a full race, so he could DNF and still be ahead of me. I wasn’t very comfortable with that and I really didn’t like that. It’s go time I think. We’re heading east and we’ve got to get after it. It was nice to make up some points last week, and then again to make up some points this week. To be honest with you, I need to be faster. I need to find about half a second a lap. I need to find that little something that’s missing and I’m working hard to find it and improve. The conditions on the weekend meant that it came down to riding a fast and consistent 20 laps – it’s not just a balls to the wall riding style [laughs]. You have to be technically on, and I feel that that’s always been my strong point. I need to be better in the conditions and on the tracks that I don’t necessarily love. That’s my goal and my plan right now, just to try and move forward, try to be better and a little faster so I can put myself in positions to challenge for some race wins. We’ll try to make up those 16 points on [Ryan] Villopoto and move into a position where I can challenge these guys week in and week out for championship points. I guess with all the Southern California rounds over now, will returning to the East Coast back to your base in Florida and also riding off the confidence of a win help you make those small improvements in your speed? Yeah, I think so and you have to take everything you can get to help you move forward. It was a win I feel really good about. I got the holeshot and [Trey] Canard was riding really well in the beginning, a little more willing to push from the start. It started raining pretty hard on the start line and it was real windy, so I was pretty cautious at the beginning. I put myself in a good place, so I was just being really smooth and cautious with how I rode, kind of taking it lap by lap. I knew that I could find the speed and be there at the end, but I wanted to ride into it without making any crazy mistakes and go down. Trey scrubbed by me on the triple and I just kind of moved out of his way. I just wanted to follow him, kind of follow his lines and see what he was doing a little better than me. It allowed me to loosen up, not ride so tight, and then unfortunately he actually crashed. When he went down then I was like alright, this is it – it’s on! Probably one of the things that I was most proud of was that I was out there riding 20 laps, gauging James. He’s always fast, whether he’s on or off, it seems like he’s always got speed. This weekend I was able to have a little more than him in the main, which was in tough conditions. I don’t know if it suited me or my bike in how we had it set up, but we really focused on those conditions during the day more than one fast lap in practice. I felt confident we had the right set up to challenge for the main event and that was what we did. It was good to know that I had the speed to run up front and that I didn’t just get lucky and win – I felt like it was a pretty solid ride for me and a straight up win. Yeah, I see it and feel it. My own Twitter is blowing up and it kind of blows up during the race weekend each week. But this weekend it’s been quite an amazing feeling actually, because people are very happy and very proud, so I think that’s cool. To make that turn, which I felt like I made the turn when I was at Suzuki because I was a real positive person there and was having a lot of fun. I think I was able to show people who I really was, not some douche bag that I had become in my two years before Suzuki. Overall I’m happy, the fans are proud and I think they’re pretty stoked. How can they not be happy? I mean, if I can’t make fans happy when I’m putting multi-million dollars on the table to go racing because I love the sport and this is what I want to do, then you’re never, ever, ever going to make those people happy. They’re always going to be haters and no matter what you’re going to do they will always pick at you and be disappointed, or try to find something to be negative about. I embrace the Twitter world, I embrace the Internet, I embrace the haters now – I like it. I’m in a different world, like I think when you become a father and you’re happy in life then all the small things that really don’t matter just don’t bother you anymore. Three or four years ago it used to drive me nuts and it used to kind of hurt my feelings that all of these people online could manufacture such BS, just talking as if they know what they’re on about like they’ve hung out with you, or met you. They just made some big opinion of you. Now, I really embrace it and love it. Whether they love me or hate me, I think it’s cool that they’re getting on there and talking about you. It doesn’t hurt my feelings at all. I’m happy and I’m pumped, just excited for what we’re doing and what we are achieving. Well that’s definitely the way to go, the attitude of a champion, and we thank you a lot for your time as always mate. Enjoy the victory! 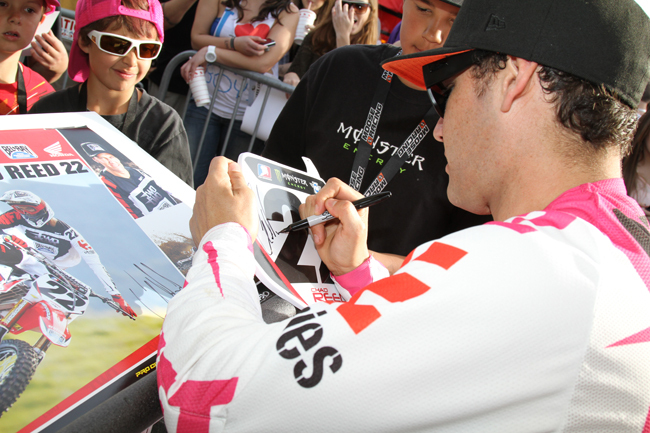 Reed has embraced the fans and is quickly becoming a fan favourite in 2011.